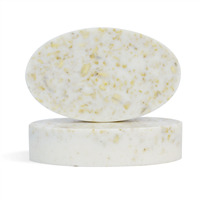 This soap is a proven best seller at shows and markets! Cut up White Soap and place in measuring cup. Heat in microwave for 2-3 minutes or until melted. Combine Fragrance Oil and Stabilizer in plastic beaker and mix well. Allow to sit for 2 minutes. Place silicone molds on jelly roll pan for stability. 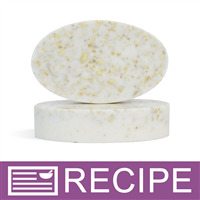 Add fragrance mixture and ground oatmeal to melted soap and gently stir to incorporate. Spritz with rubbing alcohol. Let soap harden completely. Remove soap from molds, place two bars of soap in each cello bag and tie with raffia. Ingredient Label: Oats, Sorbitol, Propylene Glycol, Sodium Laureth Sulfate, Stearic Acid, Myristic Acid, Water, Sodium Hydroxide, Sodium Cocoyl Isethionate, Titanium Dioxide, Fragrance. "Can you use food coloring to change the soap to different colors?" Staff Answer We do not recommend using food coloring in cosmetic products. It will fade and sometimes contains sugar. "I would like a detergent free soap. Is there one that you would suggest? Or is the detergent soap needed? Thanks"
Staff Answer If you Click Here the link will take you to our white detergent free MP soap bases. There should not be much difference in your final product because detergent is not required. 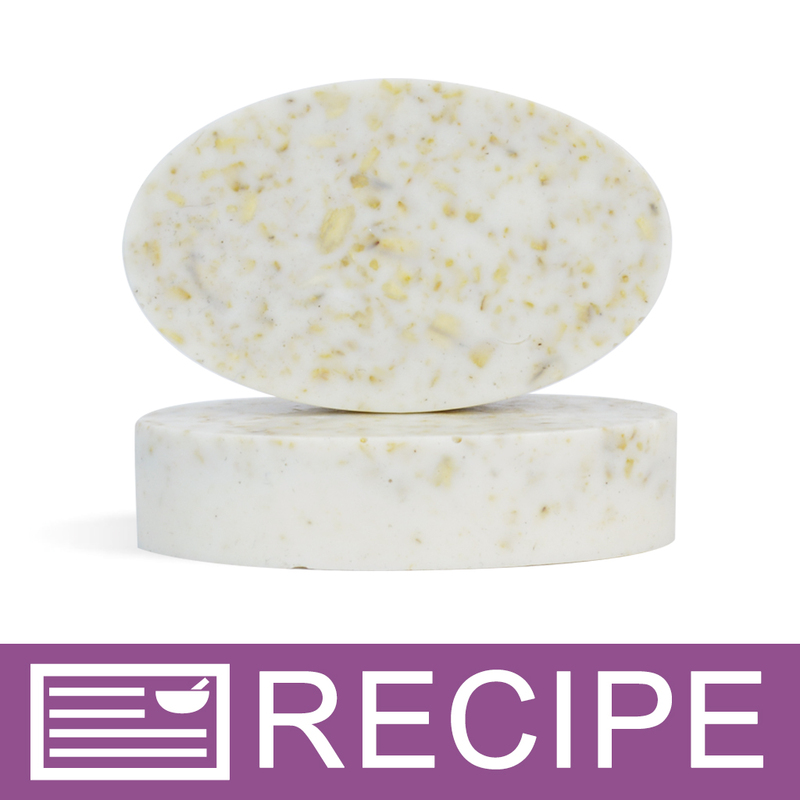 "In the oatmeal scrubby soap recipe can I substitute the goats milk soap base for the one it calls for and not compromise the consistency of the bars?" Staff Answer Yes, Tiffany, you can substitute the goat milk soap for the ultra white. "Sooo, is there any way I could convert this recipe to a CP, or is that not an option because of the type of mold? Thanks so much! Cyndi"
Staff Answer You would not be able to purchase this as a CP kit as our kits are sold as is, but if you would like to formulate your own CP oatmeal scrubby soap this mold will still work. This mold can withstand temperatures up to 500°F.